The sustainable energy revolution promises a greener, low-emissions future. Flanked by a fleet of electric vehicles (EVs), it’s approaching fast. Globally, that fleet of EVs is expected to reach 125 million by 2030. So it comes as no surprise, then, that new and improved lithium-ion battery (LIB) technologies are attracting attention. 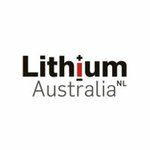 Sustainability-focused junior Lithium Australia NL (ASX:LIT) has positioned itself at the fore of this LIB-powered movement. 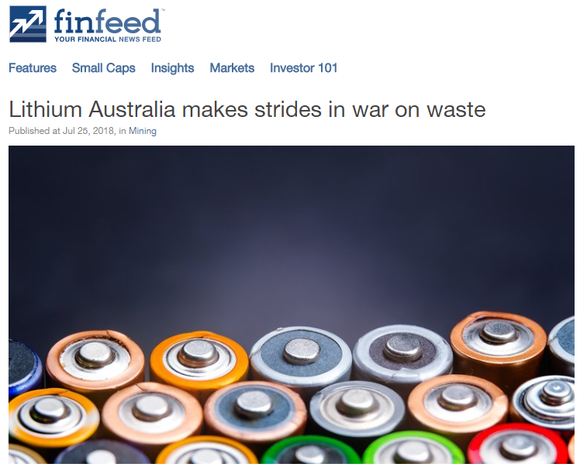 Having cottoned on early to the role of lithium and other so-called ‘energy metals’ in the EV boom, this ASX-listed innovator aspires to ‘close the loop’ on the energy metal cycle. LIT is something of a trailblazer. While environmental benefits may not immediately spring to mind when it comes to resource companies, LIT is focusing squarely on sustainable solutions to the sourcing, processing and recycling of materials required for LIBs. SiLeach® primary lithium extraction – converting mine waste to lithium chemicals. VSPC – conversion of lithium chemicals to superior LIB cathode materials. RCARC – recovery of valuable metals, including lithium and cobalt, from spent batteries. Resource exploration and development, particularly in Europe. The company has now announced that it sees new potential for waste material to contribute to commercial lithium production. The company will pilot-test mica concentrates which have long been considered waste by the mining industry. LIT has identified a number of lithium mica occurrences as potential feed sources for the LSPP. These include lithium mica deposits in France and Germany, and two deposits located in WA’s Eastern Goldfields, or “Lithium Fields”. LIT's disruptive technologies are complemented by lithium exploration and resource development. The company has highly prospective ground in major lithium provinces across Australia, Europe and Mexico. Its Sadisdorf and Eichigt projects are particularly well located in Germany, right on the doorstep of the burgeoning European EV industry. With expected sales of 71,000 vehicles in 2019, Germany is expected to become Europe's biggest EV market. 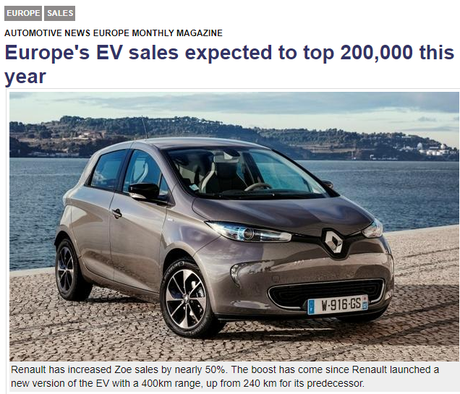 More broadly, Europe’s EV sales are expected to top 200,000 this year. With that in mind, LIT's German projects are a salient opportunity to develop a domestic European supply chain. For those just tuning into LIT's story, here’s managing director Adrian Griffin on the company’s point of difference and how it's engaging with the energy metal cycle. That’s just a taste of what this fast-moving, $51 million-capped junior has been up to. There’s a lot to take in when it comes to LIT’s jam-packed schedule, so let’s cut straight to the chase. 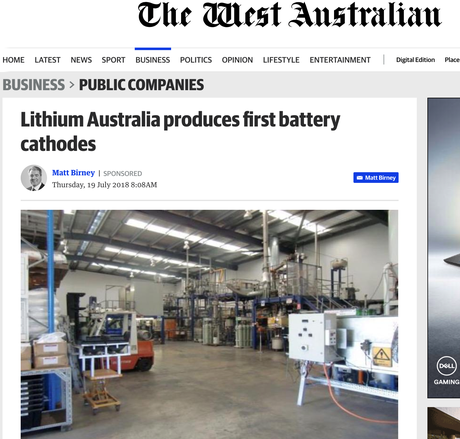 We last checked on Lithium Australia (ASX:LIT) in March, with the article, ‘LIT to Power Up Lithium-ion Batteries at its Innovative World-First Pilot Plant’. In it, we looked at LIT’s hallmark SiLeach® technology, which at that point was advancing towards patent approval, as well as the significant lithium resources the company is developing internationally. A lot has happened since then – too much, in fact, to detail comprehensively here. Outlined below are the kinds of activity LIT has been engaged in over the past four months. Brisbane pilot plant kicks off production of lithium-ion cathode material, with delivery of samples to international battery makers set for the final quarter of the year. Patent protection acquired for SiLeach® process. 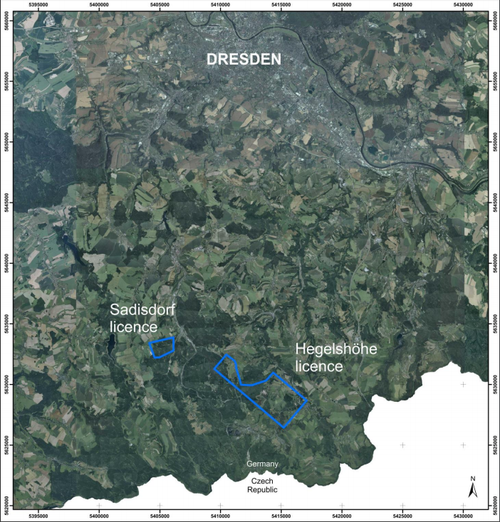 Acquisition of Sadisdorf lithium/tin resource in eastern Germany, and commencement of scoping study there, with positive lithium and tin drilling results from preliminary diamond drilling campaign. Verification of significant cobalt-copper-lithium mineralisation from exploration fieldwork at the Eichigt project, also in eastern Germany. Discovery of lithium pegmatites at the Medcalf lithium prospect, part of LIT's Lake Johnson project in Western Australia (WA). Cutting-edge SiLeach® large-scale pilot plant (LSPP) on verge of completion. Abundant lithium encountered in mine waste at Lepidolite Hill, WA will be a feed source for the LSPP. $18 million funding package secured to develop lithium and battery cathode production. LIT is making great progress in commercialising SiLeach®. This low-operating-cost, proprietary lithium processing technology efficiently digests and recovers all significant metal values from treated minerals without the need for roasting, so the energy footprint remains low. Also, unlike conventional processing, with SiLeach® all metals within the target minerals are soluble, providing the opportunity to generate significant by-product credits. SiLeach® is especially well-suited to processing lithium micas – considered a waste product in many mining operations – and turning them into cost-competitive sources of battery-grade lithium chemicals. Recently, LIT lodged two new patent applications for SiLeach®. They covered innovations that provide LIT with an unprecedented advantage — that of recovering lithium from the process liquors without extensive evaporation. The new process steps further bolster LIT’s plans for commercialising SiLeach®, which include establishment of the LSPP in the eastern Goldfields region of WA. 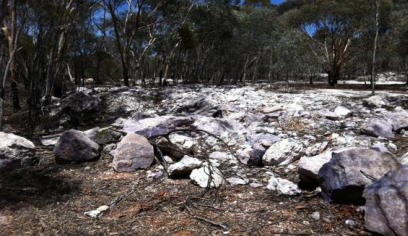 Feed for the LSPP will be the ample lithium LIT has found in mine waste at Lepidolite Hill in WA. First production is planned for 2020, with output of 2500 tonnes of lithium carbonate equivalent (LCE) a year anticipated. The LSPP is a pivotal step towards production of a full-scale plant that can produce ten times the initial estimate of 2500 tpa using SiLeach®. With the infrastructure in place, and LIT’s front-end engineering and design studies nearing completion, expect to see the world-first SiLeach® plant come on line in 2020. As announced yesterday, LIT has been making excellent progress across its tech and resource development business streams. It has now identified new potential for waste material to contribute to commercial lithium production. This ‘waste material’ is lithium micas, material that has long been considered to be waste by the mining industry. WA’s Lithium Fields host abundant pegmatites, many of which contain lithium micas. Also, in conjunction with CPC Project Design and ANSTO Minerals (a division of the Australian Nuclear Science and Technology Organisation), LIT expects to complete its LSPP front-end engineering and design (FEED) study during the September 2018 quarter. Location trade-off evaluations are currently afoot in conjunction with this study. Substantial bench-scale and pilot plant trial test work has been undertaken on the Lepidolite Hill deposit. To date, however, far less test work has been undertaken at a second deposit that has been called 'Waste2'. Laboratory tests have shown that the metallurgical characteristics of concentrates produced from Waste2 vary from those of other micas tested. That variation is a consequence of the fact that Waste2 concentrates have a higher ratio of muscovite (a common mica devoid of lithium) and lepidolite (a common lithium-rich mica). It should be noted that LIT is in the early stages of producing lithium products to commercial standards and anything can happen, so seek professional financial advice if considering this stock for your portfolio. LIT has finalised its acquisition of VSPC, meaning it is now a wholly-owned subsidiary of the company. VSPC, which represents LIT's second technology arm, provides LIT with exposure to the most lucrative part of the LIB manufacturing cycle — the production of cathode powders, which are critical components of LIBs. The aim is to establish a pathway from mine waste to LIB production via SiLeach® and VSPC. 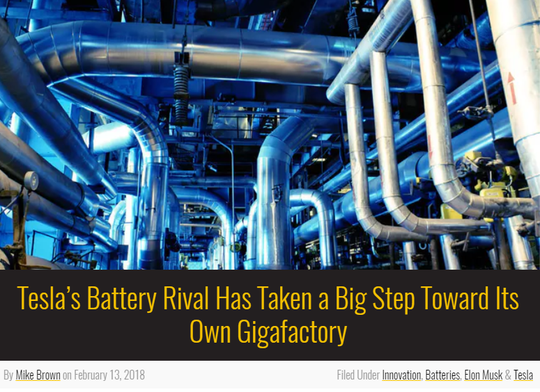 The latter will convert both SiLeach® (and RCARC) products into the most advanced LIB cathode materials — at the high-margin end of the battery metals market. Such advanced battery materials are applicable to green energy solutions as well, including as back-up for sources of renewable energy. VSPC’s pilot production facilities in Brisbane are now fully re-commissioned and the first lithium-iron-phosphate (LFP) battery cathode material is being produced. The plant has advanced, on-site electrochemical testing facilities to assemble and test lithium-ion coin and pouch cells. Currently, these are verifying the quality and consistency of the pilot-plant materials produced. VSPC is on the brink of commercialisation. Production of bulk quantities of cathode powder as samples for end-user endorsement is set for September — only a couple of months away. This brings LIT a big step closer to the high-margin end of the battery metals market. 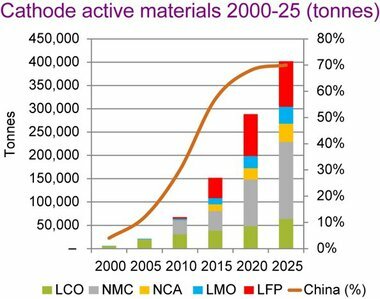 Boding nicely for LIT is anticipated demand for advanced cathode materials for use in LIBs – it's conservatively estimated to exceed US$10 billion by 2025. According to Avicenne Energy, the cathode material market will grow to 400,000 tpa that same year. Tellingly, in tests completed in late 2017, batteries produced from VSPC cathode materials outperformed industry benchmarks. With that in mind, the ability to produce cathode powders from mine-waste and recycled materials, all while controlling particle size, gives VSPC a razor-sharp edge. Importantly, VSPC enables LIT to capitalise on waste batteries as a feed source — something that will acquire further weight with the immense pressures being placed on the supply of energy metals like lithium and cobalt. Battery recycling supports LIT’s strong sustainability emphasis, breaks the waste cycle and could ultimately prove the cheapest source of those energy metals materials in years to come. 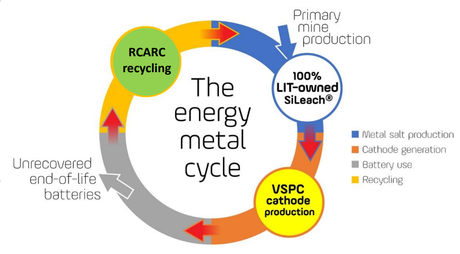 Also integral to the company's sustainability ethos is RCARC (Resources Conservation and Recycling Corporation PL), which will use LIT's cost-competitive, patent-protected technology to pre-treat end-of-life LIBs, removing the polymer binders to recover all of the energy metals they contain, including lithium and cobalt. Effectively, this closes the loop on the energy metal cycle. All in all, that’s some impressively expedient work, so it's no surprise that LIT is steadily establishing itself as a leader in battery technology within Australia and around the world. LIT is committed to a sustainable, low-emission lithium future. To that end, its innovative technologies are underpinned by a sizeable lithium resource inventory in some of the most prospective locales in the world. That includes the Saxony region in Germany, where LIT now owns 100% of the Sadisdorf project. Here’s where LIT has set its sights. Sadisdorf already has an Inferred Mineral Resource of 25 million tonnes grading 0.45% lithium. Now, a scoping study is afoot, with completion expected in October. It will run in parallel with evaluation of cobalt mineralisation at LIT’s Eichidt project nearby. Critically, at Sadisdorf the lithium is contained within lithium micas in alteration around tin mineralisation that has been the subject of historic mining. LIT will use SiLeach® to further unlock the lithium potential there by recovering the element from the residues of conventional tin concentration processes. 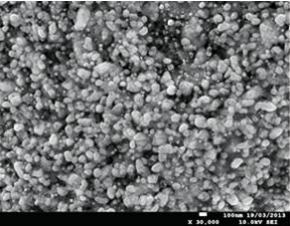 Those micas can be readily concentrated after the removal of tin by conventional gravity separation. Indeed, lithium has already very successfully extracted lithium from Sadisdorf's mica concentrates using SiLeach®. With its German projects, LIT is in an excellent position to cultivate a domestic European lithium supply with access to Europe's burgeoning EV industry, a market that grew by nearly 40% from 2016 to 2017. Moreover, much of the momentum emerged in Germany, where the EV market more than doubled. That positioned the country as Europe’s second-largest EV market, outperformed only by Norway, and Germany is aiming to put one million electric cars on the roads by 2020. Chinese automobile manufacturer BYD has plans to establish a battery factory in Europe, as does Swedish automaker Northvolt, which has partnered with Scania to build Europe’s biggest LI factory. CATL, Samsung SDI and LG Chem are following suit with plans to establish European production capacity. In addition, BMW, Daimler, Ford and the Volkswagen Group last year announced a joint venture –called IONITY – to develop and install a high-power charging (HPC) network for EVs across Europe. With such a buzz of activity, Europe may well become the biggest market for energy metals outside of China. Major consumers are already competing for offtake, and establishing supplies of raw materials will be critical to their success. And with that in mind, LIT — with its well-established resources at Sadisdorf and its commercialisation of SiLeach® well on track — could very well develop a domestic European supply chain. Besides moving quickly to commercialise its SiLeach® and VSPC tech assets, LIT has plenty to keep it busy in the months ahead. It includes production of bulk quantities of cathode powder for end-user endorsement in September, and completion of the Sadisdorf scoping study in October — activities that may well pique investor antennae in a serious way. With its corporate eye fixed firmly on a greener, more ethical and lower-emissions future, LIT is rapidly emerging as a leading player, not just in the resources space but also in the sustainable tech domain ... pretty rare when it comes to would-be miners. However, LIT remains a speculative stock and if considering this stock for your portfolio you should take all public information into account and seek professional financial advice. LIT’s other point of difference, one that sets it apart from its lithium peers, is this: it’s the only company with the ability to convert ore from mine waste into LIB cathode minerals. LIT is currently capped at a modest $51 million – clearly, though, given all it’s been up to, the company refuses to rest on its laurels. It may not be long before its small-cap days are just a distant memory.